Tired from playing football in the intense heat of the South Asian sun, OM team member Farhan* leaned against a tree with his teammate and new friend, Pason*. Farhan asked Pason about his family situation and life. 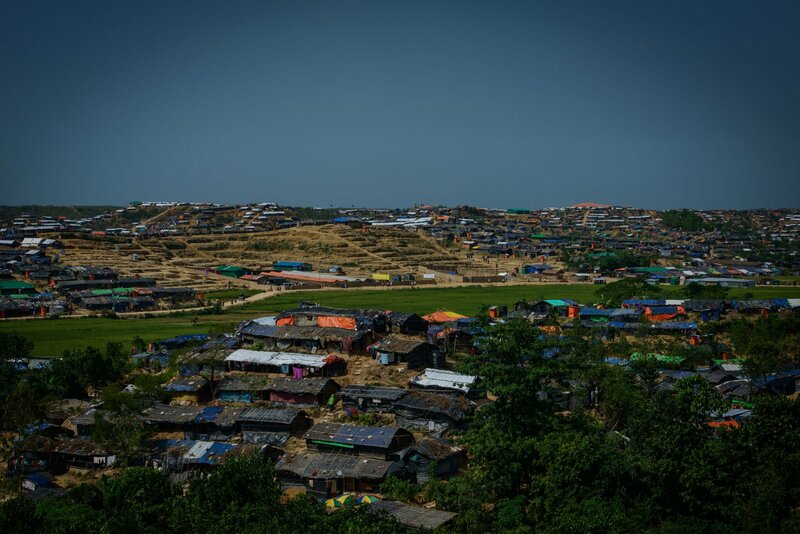 Pason, a Rohingya refugee living in a camp in southern Bangladesh, responded that there are eight brothers and nine sisters in his family, of which he is the youngest. His father has a small carpentry business in Myanmar. After getting married, Pason started his own carpentry business. In August 2017, when the army started attacking villages and burning houses in his village, he and his wife and their young child fled from Myanmar. He did not know what would happen to his parents or siblings. When Pason arrived in Bangladesh, some local people gave them money to buy food and make a small shelter for his family. After a week, they didn’t have any more food because there weren’t any organisations to help them. After a couple weeks, different non-government organisations started distributing food, and he felt safe to stay in Bangladesh. Still, he could not sleep. He had flashbacks and bad dreams when he remembered how the army killed their neighbours and burned houses. After a few weeks, he was finally able to reach his family and find out they were safe in Myanmar but staying in different places. While Pason was relieved to know his family was alive, many difficulties arose in the camps. He discovered the land his family had settled on was not government-owned but private land. He would have to pay about 5 USD a month to stay there. To pay rent, he had to sell the food given to his family. Sometimes they didn’t have anything left to eat. Pason recently went to the camp hospital for weakness and stomach problems, but medicine was not helping. Because the doctors didn’t speak his language, they had not been able to help much. He was daily losing weight and becoming weaker. He didn’t have the money or the ability to see a doctor outside of the camps. The OM team started running football programmes in the refugee camp where Pason lives last year. Six days a week they spend time with boys and men who have experienced serious trauma but say they forget everything while they play. The football players, like Pason, can see a difference in the OM team members and the care they give by showing up every day and caring enough to hear their stories. A few months later, Pason was feeling better but still was experiencing weakness in his body. Farhan visited him at home with his wife and two children and prayed for him in the name of Jesus Christ. The team continues to pray for him and share the gospel with him. They have also been able to help him buy medicine and some gifts for his family. In 2018, 120 people from the camps as well as the local community participated in the football programme. Plans are underway for a tournament early this year. Please pray for relationships to deepen and for OM workers to have opportunities to share the love of Christ with the Rohingya people and the local community. Pray for health and provision for Pason’s family and many like them, who see little chance to improve their situation. Pray for the team to be able to share with them where true hope can be found.